Nestled between sloping mountainsides and tree-lined fields, the Earl Hamner Theater is about as off Broadway as you can go. A sheet of paper taped to the front door of the Rockfish Valley Community Center in Nellysford, Va., directs patrons “around back,” where the theater sits between a local furniture maker’s shop and a thrift store. The aged brick building was an elementary school 10 years ago, but any vestige of the former classroom vanishes when you enter the black-curtained space. Now in its third season, the Hamner theater is the first and only theater space for the performing arts in rural Nelson county. Its co-founder, Peter Coy (Col ’71), left a successful New York City drama career for a quieter but no less artistic life in the Blue Ridge Mountains. He wanted stability, a place where actors, directors, playwrights and technicians could build community and explore original work while creating the most exciting theater for their audiences. “There are other theaters,” says Coy, “that focus on the fun and camaraderie with only a secondary concern for the audience.” For Coy, audience comes first. So in 2004, when an opportunity to move into the local community center arose, he jumped at it. A year later, the Hamner opened its doors. created his Depression-era childhood. He choked up when Coy asked his permission to name the theater after him. Now 84, Hamner lives in California, but returned last March to give a reading and book signing, drawing the theater’s biggest audience to date. The Homecoming is now a Nelson County tradition and will receive its third annual production in December—even though the theater’s tiny dressing room can barely hold the 22-member cast. Coy has also staged two of the episodes that Hamner wrote for The Twilight Zone, where he began his TV writing career under Rod Serling. Hamner’s and Coy’s eclectic writing tastes are reflected in the theater’s other production choices: Shakespeare, Chekhov, Brecht and a range of area playwrights. Coy is currently adapting the stories and letters of Edgar Allan Poe into a musical featuring jazz greats like Cole Porter. Next season will also feature Coy’s newest play about a notorious 1907 Nelson County murder. Having proved himself in New York and D.C. (Coy won the prestigious Helen Hayes Award for outstanding new play in 2001), he is at home at the Hamner, 30 minutes from his alma mater. 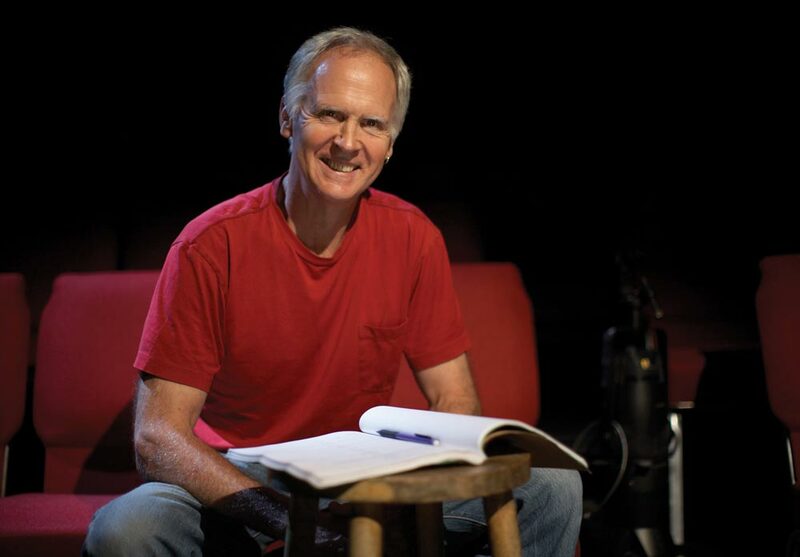 During his 30 years in theater, he has directed more than 40 productions, beginning at UVA, where as a second-year he switched majors from philosophy to drama. He credits the inspiration of the faculty (especially professors David Weiss, Ben Bennett and John Graham) for keeping him in school and out of Vietnam. Now Coy is carrying on the nurturing tradition by hosting a playwriting conference every summer, giving playwrights the rare opportunity to develop their drafts in a workshop community. A recent matching grant of $150,000 from an unnamed foundation will help ensure that theater life in the Blue Ridge will continue to thrive. Super impressed with Mr. Coy’s skills at the recent Nelson County sub regional one act play competition. Superb, Mr. Coy!